AmazonSmile is a simple and automatic way for you to support Wild Things every time you shop, at no cost to you. It has the same low prices, vast selection and convenient shopping experience as Amazon.com, with the added bonus that Amazon will donate a portion of the purchase price to Wild Things Sanctuary. How cool is that?! ​eBay for Charity makes it easy for people to support charities. It enables sellers to donate a portion of their sales and buyers to shop while supporting their favorite non profits. 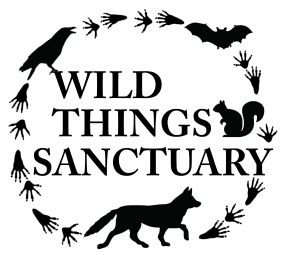 Sign up and make Wild Things Sanctuary your favorite charity. Or, if you are a seller, donate a proportion of sale to help Wild Things Sanctuary. ​​​You can also help WTS every time you search the web or shop online by using the iGive search engine. Click on the icon on the right to get started! ​​A fun way to raise money for Wild Things! Started by Edward Norton and other celebrities, Crowdrise enables anyone to start a fun fundraiser of any size for Wild Things. By tapping into social networks, it creates viral fundraising campaigns and has raised millions of dollars so far!